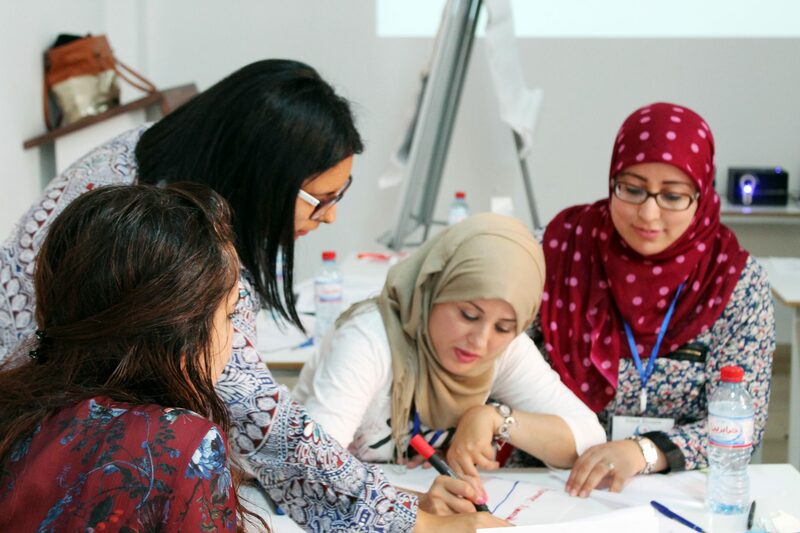 Kvinna till Kvinna has supported women’s rights in Tunisia since 2016. During the Jasmin revolution, Tunisians marched to end years of one-party rule. In the atmosphere of hope that followed, former women’s rights organisations resumed their activities and new ones were built. Since then, civil society has been at the forefront of promoting human rights and democracy. Today, we strengthen and support fledgling organisations. Today however, conservatism and socio-economic constraints still hinder women’s access to justice, public service and politics. This is particularly true beyond the major cities and in poorer neighborhoods. In recent years, Tunisia has also experienced an economic decline. Women are over-represented in statistics of poverty and unemployment. Politically, they are fairly well represented: women hold 35% of parliamentary seats and 47% of municipal council seats. Still, not a single party is headed by a woman and four out of five mayors are men. Optimistically, the Jasmin revolution opened new opportunities to confront problems such as gender-based violence. In 2017, after hard work by the women’s movement, Tunisia adopted a law to comprehensively address the matter. Victims now have specific rights and rapists no longer receive impunity for marrying their victim. Still, much work remains to ensure the law is fully implemented. We established an office in Tunis in 2018. We are currently mapping potential partners in the country. The result will be published in late 2018 in a new country strategy. Our partner Aswat Nissa runs a Political Academy to develop the skills of young women candidates from across the political spectrum. In the 2018 local elections, thirteen Political Academy graduates from different social backgrounds were elected to power.